The Lancer Dancers will perform a variety of routines in jazz, hip hop, tap, lyrical and other genres that they have been working on this school year. With so many different dance and music styles, this year’s Showcase offers something for everyone. Showcase tickets go on sale Nov. 17 at http://www.lancerdancers.com and are $15. 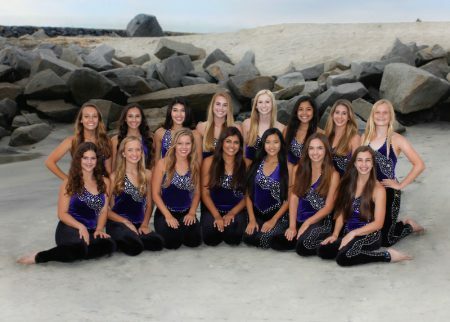 Other dance groups invited to perform include the Carlsbad High School Xcalibur Junior Varsity Dance team, Carlsbad High School Dance PE 1, 2 and 3 classes and the Aviara Middle School Dance Team. Adding levity to the program, the “Mancer” Dancers represent a longstanding Showcase tradition. Each year a new group of Mancers (male students) are invited to perform with the Lancer Dancers, and it’s always a crowd favorite. Another highlight is the performance by the Junior Lancer Dancers, a group of young girls ages 5 to 14 that take classes given by the Lancer Dancers during the fall. It is their opportunity to perform what they have learned over their 9-week session. Proceeds from the Lancer Dancer Showcase will help offset the costs associated with the Lancer Dancers’ lodging and travel to Orlando, Florida to compete in the Universal Dance Association (UDA) National Championships. UDA Nationals is the nation’s premier competition for high-school dance squads, with approximately 600 different teams from public, private and performing arts high schools competing each year. The Lancer Dancers have earned 11 National Titles in the jazz or hip hop categories and just this past March won a World Champion Title in hip hop. The team has received national television exposure on ESPN year after year, reaching up to 90 million viewers and serving as teen ambassadors for the City of Carlsbad.